When I was in seventh grade, my family traveled to Costa Rica, Quepos specifically. 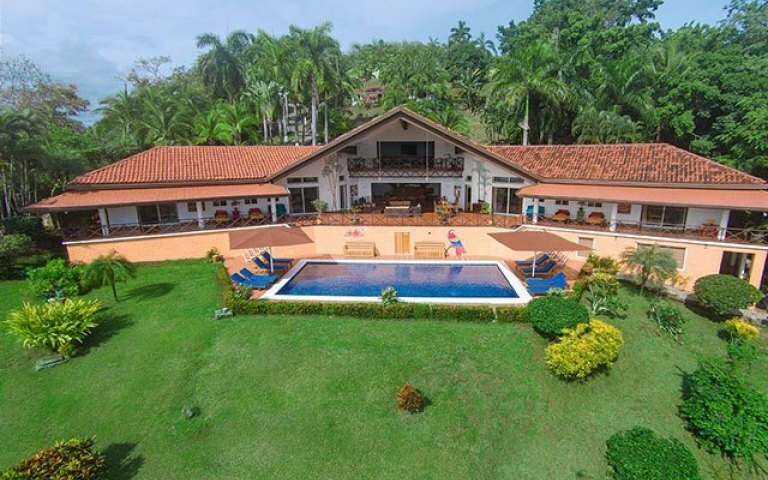 We landed in San José, Costa Rica and drove around two hours to Quepos, where we stayed at Villa Pelicano. What I loved about this trip was the fact that the family friends that we stayed with owned a hotel about 10 minutes away from our villa so we were able to go there as well and explore. My favorite part of this trip was zip lining. When you are in Costa Rica, you have to go zip lining. Usually you except all Caribbean countries to be just beaches, but Costa Rica is an actual rainforest. I had the opportunity to literally zip-line through the rainforest. As well, it rains at least once a day in Costa Rica and although you might expect this to ruin the day, it honestly only made it more fun. It sounds weird but when I was zip lining and it started raining, it actually felt as though I was living in the rainforest… my seventh grade self thought this was the absolute coolest thing in the world. To top it off, we also went night zip lining and it was just such a different but just as cool experience. Something I highly encourage when you go to Costa Rica is to not just go to the famous and nice restaurants but experience the local cuisine. Some of my favorite memories from this trip were leaving the villa and just walking through the city of Quepos and eating at the local restaurants as well as going to the local stores. Truly Costa Rica offers everything. There is the beach where you can learn to surf, there are mountains that you can hike, tons of deep sea fishing, some of the best food I have ever had, zip lining and so much more. The cool part is that one day you could be up on the mountains and the next be on the beach– and they’re not normal beaches. Although the water isn’t super clear because the sand comes from volcanic ash, the beaches are so much fun. One day we went out on a catamaran and snorkeled. It was so cool to see such a different view of the ocean of Costa Rica because we were usually on the beaches with dark black sand. Snorkeling was so amazing in Costa Rica because from where we were in the ocean we were able to see our house! Costa Rica is a country that has so much to offer and much more than a lot of other Caribbean countries. I am all about food and I am all about traveling so to find the perfect places all over the world that have some of the best food in the world is a place I want to be. Being from Houston and living in such a large city that has all different kinds of restaurants– I will eat just about anything that you put in front of me. For one thing, Japan is an amazing country on its own. With the amount of things to do just alone in Tokyo, I can only imagine what it would be like to travel to such an amazing place. But also, there are places outside of Tokyo that are probably some of the most amazingly beautiful places in the world. But, the main reason we are talking about Tokyo is because of the food. If you are looking for some of the freshest and tastiest fish in the world whether it is cooked or raw for sushi, Tokyo is the place. The fish markets in Tokyo are known for their amazing products. As well, I know a lot of people are really into tea and Tokyo has a place where you are able to go and experience an authentic tea ceremony. Although the number of cities in Italy that you could find some of the best food you’ve ever tasted, Rome is the prime candidate. 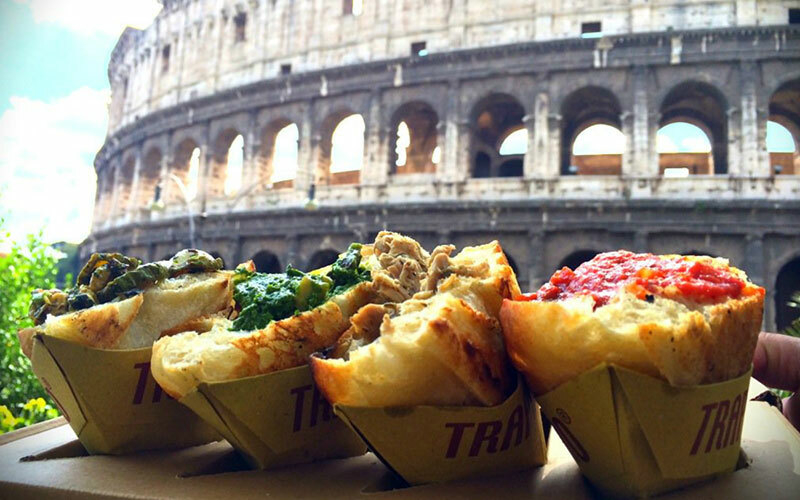 On top of the history and structures that you can find in Rome as well as the vivacious tourism, the food is to die for. We all love pasta and pizza and bruschetta, but in Italy, you can guarantee that it tastes 10000 times better. To top it off, Italy has gelato. Italy has just about everything when it comes to food and is a prime place to travel. Now that we’ve seen some Asian and some Italian cuisine, we need to get back to this side of the hemisphere– South America. 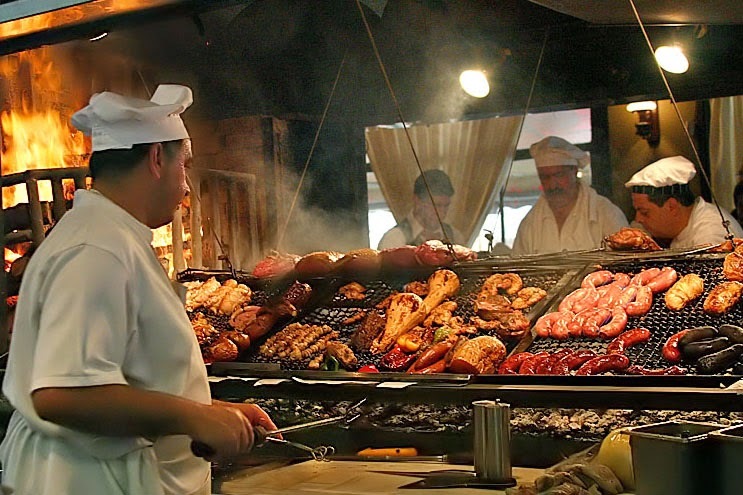 Argentina is known for their asado, basically a medley of different types of meats that is cooked on a parrilla, or grill. Argentina has to be one of the most beautiful places in the world with some of the most unique while also classic foods. One can enjoy some of the best food that they have ever tasted while enjoying the beautiful surroundings of Buenos Aires. We know the basics– Paris, London, Rome, Sydney, etc. that are well known all over the world for being some of the top places to travel. But what about some cities that are underrated and are some of the world’s hidden treasures? To begin with, people do not recognize Thailand enough for the amount of beauty and overall culture there that many are missing out on. I do not not think I know one person who has been to Thailand, but let me tell you, we’re all missing out, because this place is beautiful. Sukhothai is a small city in Thailand that has a population of 37,000 people. It began as one of the most populated and busiest cities of earlier time as it was one of Thailand’s earliest found settlements, but overtime, it began to fall into the shadows. The city is swarming with historical sites and temple ruins. 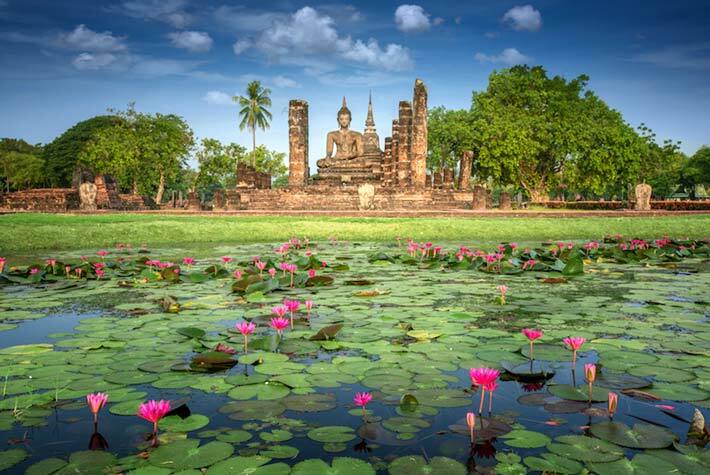 Places like the Sukhothai Heritage City are some of the prime experiences one should witness in the city as well as the Wat Maha That, the previous site of the royal kingdom. Sukhothai is a city you do not want to miss if you are interested in seeing the beauty of Asia as well as historical sites and ruins. Although this city only has a population of 11,000, this is a city you do not want to miss. 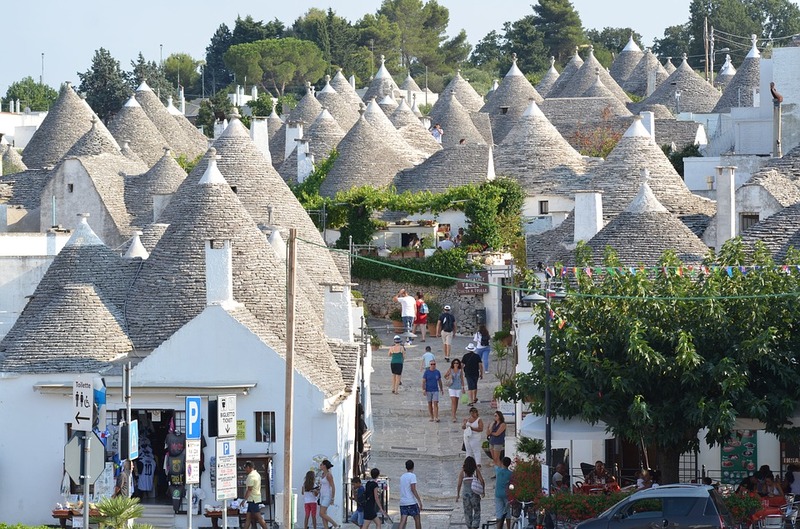 Whether you take a simple day trip or spend a few days here, Alberobello is a city that cannot be missed on your trip to Italy. The city is filled with white-stoned huts called ‘truly’. This city is noted as a World Heritage Site by UNESCO and is a site that I find no one would want to miss. I know for me, being able to see cities that are covered in beautiful and vibrant colors is something that I do not see often. 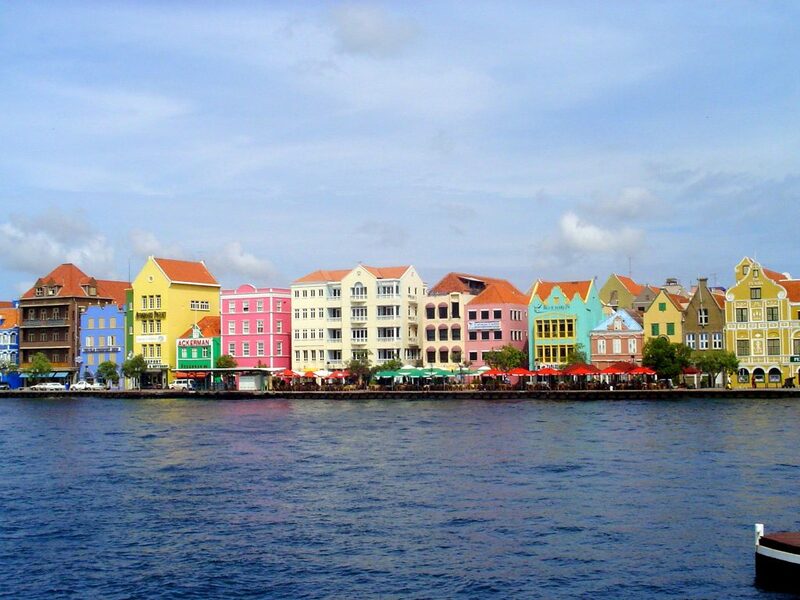 There are many cities all over the world that have their buildings painted all the colors of the rainbow, but there is just something about Willemstad. Willemstad was originally owned by the Dutch and this history of why the buildings are all colored is being in 1817, the white lime finish on the buildings was prohibited due to protecting eyesight from glaring. Willemstad is a beautiful city with a vivacious culture that anyone would be lucky to experience and be able to say that were able to see how Dutch influence left an impact on a small Caribbean town. Ok let’s pretend that that pun was just as funny and catchy as Jamaican me crazy! So anyways, I have been to the beautiful Dominican Republic five times with one of my best friends and I have to say that it is truly one of the most fun, relaxing and exciting countries I have ever been to. I have also travelled to Costa Rica, Jamaica, Mexico and The Cayman Islands, but there’s something about Dominican! Since I have been so many times I feel as though I sort of understand the layout and I have done so many amazing activities there that I could help anyone plan a trip! Usually, one lands at the Punta Cana International Airport and where I have stay is in Cap Cana, which is basically over 45 miles of real estate that holds many different types of resorts, golf courses and beaches. Basically, it is like a little city of its own! Whenever I went down, we would stay at my friend’s condo in the Cap Cana marina where there were several different pools, grocery stores, restaurants and little shops. I truly believe that staying in Cap Cana is one of your best options when traveling to Dominican if you want a relaxing and safe trip that is memorable for everyone! Although this picture is not the best quality, I have to say that everywhere you go… you NEED to order Tuna Tartare because you honestly won’t taste it anywhere fresher than Dominican Republic. Here I was in San Rafael Del Yuma, La Altagracia– which was still within Cap Cana. A person could drive 20 minutes away and still be within Cap Cana and be able to experience all different types of things. If you’re wanting advice from someone who has been, my favorite beaches, spas and restaurants are at Eden Roc, one of the resorts in Cap Cana. As well, there is an award winning golf course only a few steps away from the beach! More importantly than that, there are so many different activities for everyone in the family can do beyond just playing on the beach. 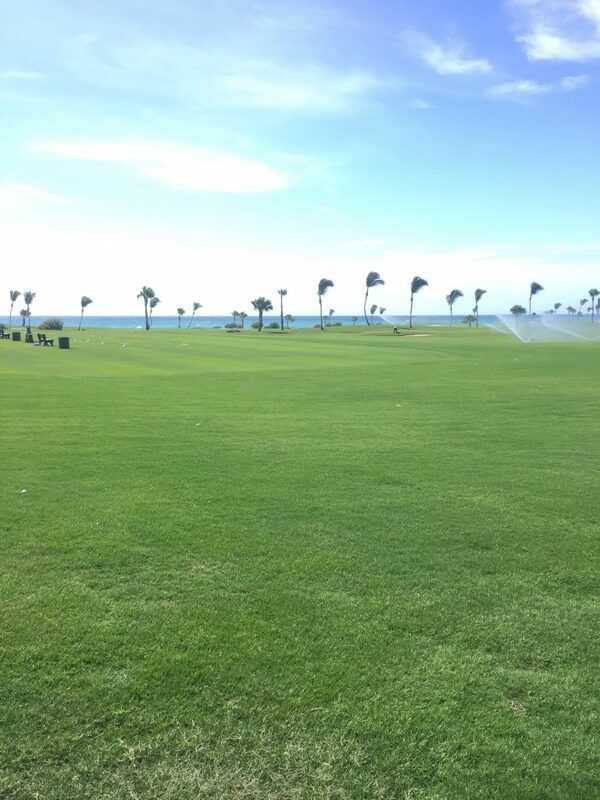 A view of the ocean right from the golf course! 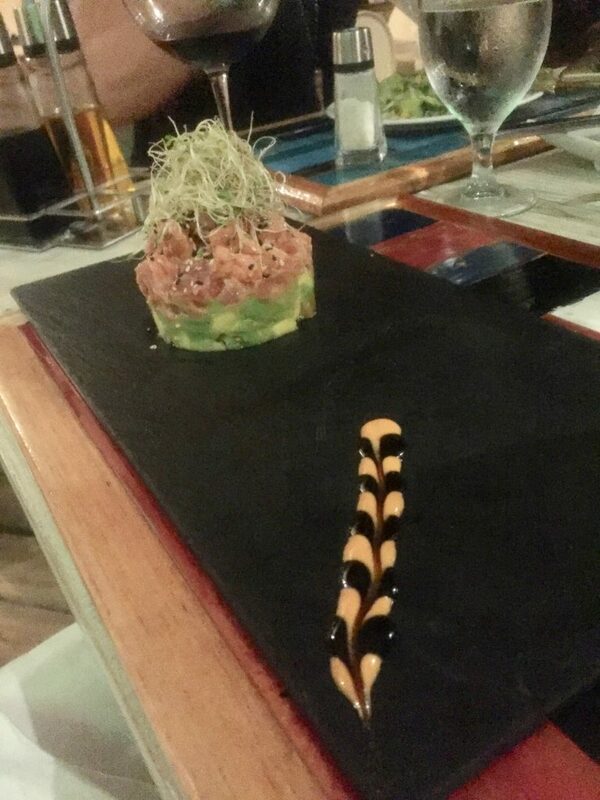 I know previously I spoke about how you absolutely have to try Tuna Tartare wherever you go in Dominican, but as well, you need to try as many restaurants as you can in Cap Cana! At the Eden Roc beach club, there is a restaurant called La Palapa that truly has some of the best cheeseburgers I have ever had in my life. No matter where you go in Cap Cana, you need to try and eat everywhere you can and come with an empty stomach because you are wanting to eat as much as you can! Dominican Republic is a country filled with so much history and life that I don’t see why anyone would not want to travel there. Although I mainly emphasized Cap Cana, there is so much more to Dominican Republic, but since I have only been in Cap Cana, I do not know what all there is to provide… all I have to say is that you are missing out if you do not give Dominican Republic a chance! Being from Texas, specifically Houston, I can with pure bias that Texas has some of the best food in the country. It’s not that my bias completely powers my judgment, because it’s true. Tex-mex is insane as well as the steakhouses you can find throughout all major cities in Texas. And again, although I have a bias towards Texas and should towards Houston, there is something about Austin that gets me every time. To top off the amazing food that is in Austin, the amount of activities one can do are endless. You can go out to either Lake Austin or Lake Travis and go tubing or water skiing and even along the sides of the lake, there are restaurants there too like Abel’s on the Lake and Hula Hut. As well, you can go into downtown and visit the University of Texas campus while just exploring the city. Their nightlife is amazing on 6th Street and while out, the State Capitol is not a far walk away! But, back to the food. Austin’s cuisine is one for the books so we have to start with my personal favorite. To start out, The Caroline is right in the middle of everything happening in Austin. 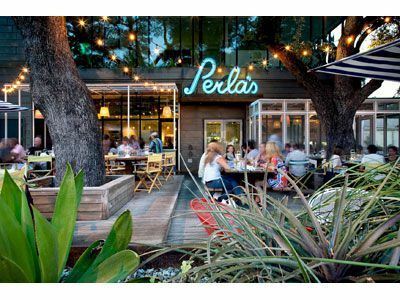 As many know, Zilker Park is where Austin City Limits is every fall and The Caroline is not too far away– so if you are feeling like going out to ACL and having a crazy fun time but want some great food after– head on over to Caroline’s! My personal favorite is the Wild Mushroom Bolognese… I mean how fun? 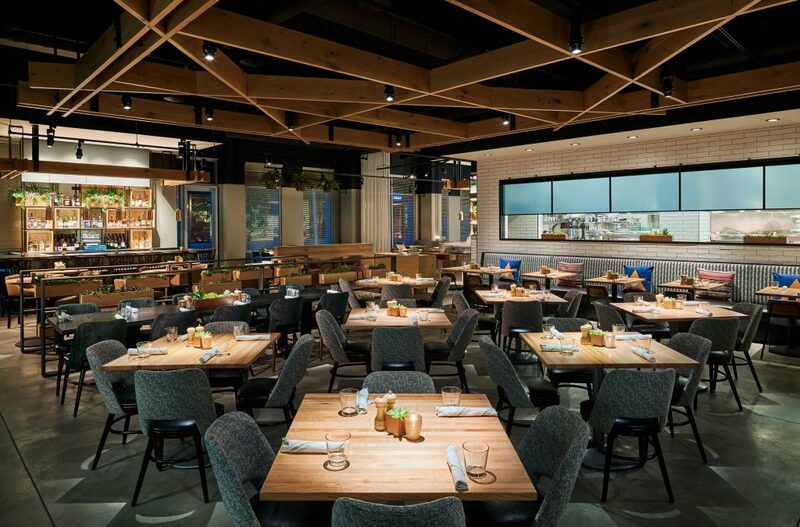 This restaurant takes classics like chili and salmon and turns them into something extraordinary. There’s just something about Irene’s! 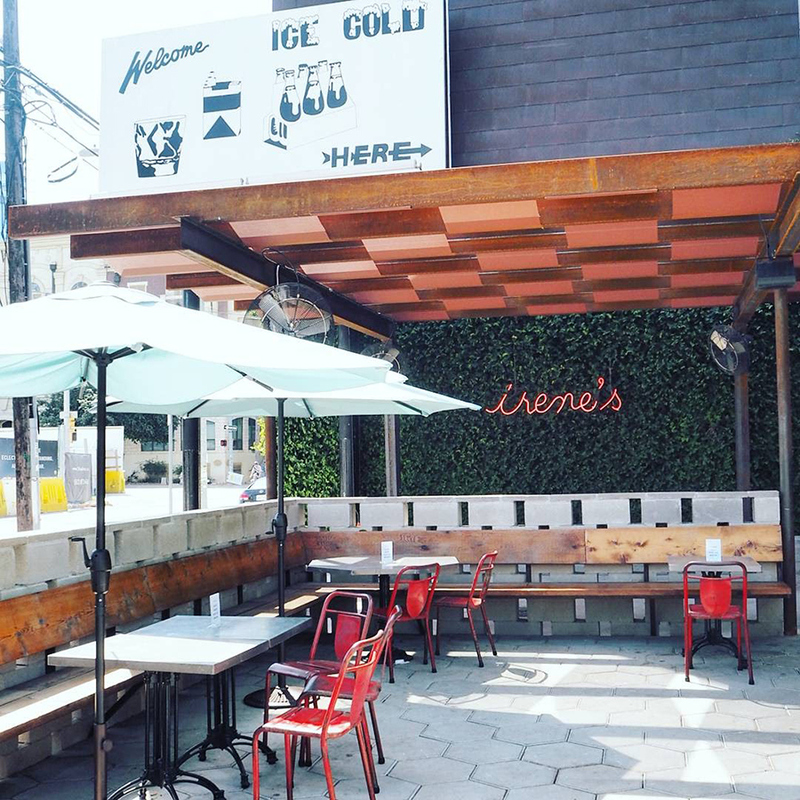 Whether you want to dress up for a fun evening or just stop by all comfy at lunch, Irene’s is the place for you! The style of Irene’s is something I find captivating and truly captures what Austin is all about! Food items like the Irish Nachos and the All-Day Breakfast Sandwich are two of my absolute favorites. You know when you’re in Austin you have to try the best of the best restaurants, and Irene’s is 100% one of the best. Being a girl, I have obviously dreamt about my wedding since I was a little girl. Where would it be? What would my husband be like? Who all would be there? And just like any girl, my Pinterest board for my wedding is filled with different wedding rings, dresses and decorations… but for me, the most important spot is the location. Everyone wants their wedding to be memorable and talked about for years amongst friends and family. Here, I will be talking about the three top wedding spots I believe would make for a memorable, extremely different and amazing time that everyone will cherish forever. These locations are specifically in the United States cause let’s be real… for me I would want as many people I invited to come as possible and how could they miss places like these?? If y’all haven’t seen the Thorncrown Chapel in Eureka Springs, AR, you are seriously missing out. I mean, look at this chapel? Although it might not seem like a busy city with a lot going on, to be able to say that you were able to get married in a chapel like this is so memorable and breath-taking. Eureka Springs holds so much history and so many fun little spots like Blue Springs Heritage Center and Eureka Springs & North Arkansas Railway. Just to be able to say that you got married in this chapel is good enough for anyone to want to visit! Now who wouldn’t want to get married in NOLA? The culture and the liveliness and overall energy on Bourbon Street is contagious! But, this is not for everyone. This is for those couples who want to have an insanely fun time at their wedding and are okay with getting a little dirty along the way. As we all know, New Orleans is not the cleanest city, especially on Bourbon Street, but could you imagine the memories? People always say you only need to visit New Orleans once to truly experience it, and let that one experience be for your wedding! I can say hands down that one of my favorite places to visit in all of the United States is Telluride. There is something about this city that just gets to ya. And I mean, who wouldn’t want to get married on a mountain in beautiful spring or summer there, maybe even fall or winter if you’re really feeling that cold! 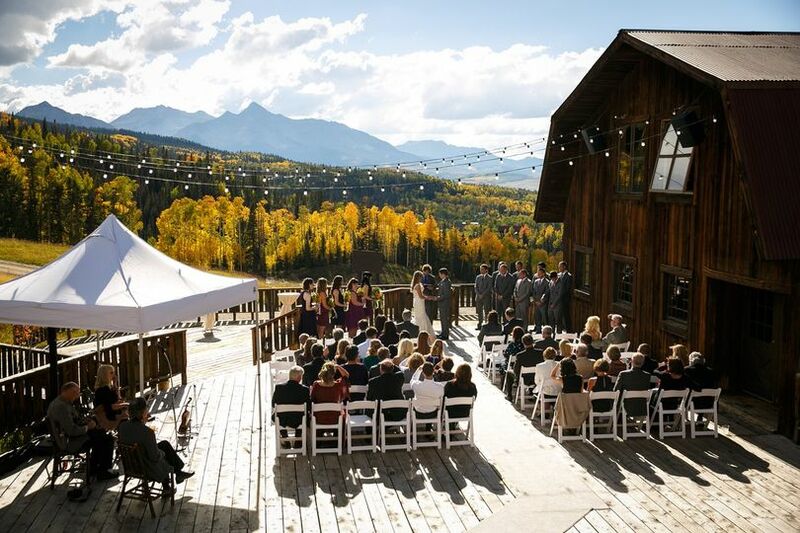 Telluride has so much to offer on top being a prime wedding location– you can ride the gondolas into town and shop and just hang with the family and even visit some of the best restaurants I ever have ever been to, like Rustico Ristorante. To say you were married in one of the most beautiful cities in the nation would truly be a day to remember. Being in French Club and especially being in my French class 3 days a week has been so fundamental to my learning French language as well as being able to learn about the culture of France. Next semester I will hopefully be in France studying abroad. I am not sure whether or not I am going to Paris or Clermont-Ferand, but either way, I cannot wait for what is to come while I am there. Hopefully when I come back I will have enough of a knowledge of the French culture and language that hopefully I will be able to become more involved in the French Club and possibly hold a position that will allow French Club to have more members and be more active. I have had a hard time being involved in the French Club as I feel like not as many people take French as they do Spanish because we live in a country where more people are from Latin America than there are people who have a ancestry that is associated with France. I find myself wanting to get more involved with the French Club and other people who want to learn French and become enveloped in the French lifestyle because it will encourage me to only continue to grow my French skills and possibly one day be fluent! Sometimes it makes me nervous that I will be in France for a full semester. First off because I truly do not know the language as well as I should but also because I will be there on my own as none of my friends or people I really know will be in France. But I find this as an extreme growing experience. I cannot wait for what is to come. Although I am by no means educated enough on topics regarding immigration and refugees escaping their troubled nations, the overall global issue regarding these matters seems to be a heavy topic currently in the United States. Being from Houston, I see often illegal immigrants who have come from Mexico to seek a better life for themselves and their families. Oftentimes I find that the people who are complaining the most about illegal immigrants have truly not seen them and do not have the kind of first-hand impression that I have had. People always claim that Mexican immigrants coming into the United States are only here for one thing: to sell and bring drugs. Honestly, I find this to be so sad. Yes, there are issues in the drug world that Mexico is related to. But, what really is the percentage of illegal immigrants who come to the U.S. for the sole purpose of bringing drugs in– probably a lot lower than that of immigrants coming simply for a better life. I understand that refugees sneaking into countries is an issue and they are trying to avoid the hardships that occurring in their own country. I just believe that some solution must be made in order for refugees to have a safe place to remain in a different country. Immigrants and refugees are constantly killed due to the passion that these people have to seek safety. These people yearn for a new home and simply safety that they will do anything for it– even if that means they might lose their life. I am unsure of the situation or solution that we could come up with to fix these issues. But I have a strong desire to become more informed. On November 13, I went to a Fulbright Information Session with Bushra informing us on all that Fulbright has to entail! To be honest, I was completely surprised at what I learned about Fulbright. I feel a little dumb because I had no idea that this scholarship was something awarded to people who were about to graduate from college or recent college graduates– but it honestly made me more excited. The reason that I was so excited is because it just means there is another opportunity for me to possibly be able to travel abroad. “The Fulbright U.S. Student Program provides grants for individually designed study/research projects or for English Teaching Assistant Programs. A candidate will submit a Statement of Grant Purpose defining activities to take place during one academic year in a participating country outside the U.S. It is insane that there are such opportunities like this in this country and I truly cannot wait for the opportunity to apply when I am getting closer to graduation! I mean, I could be teaching students from a surplus of countries how to speak English while also being immersed into their cultures… cool right? Although this might not seem like too big of an international event, it was the first one that I experienced this year. All of the Global Engagement Fellows got together and basically just hung out. We had to opportunity to hear about different fellows study abroad trips that they went on over the summer and it was just so encouraging to hear! I hopefully will be studying abroad this summer in South Africa and to hear from different people about how amazing it was to maybe go on your own for a trip or just completely go out of your comfort zone made me only that much more excited! It is so crazy to think that I am almost done with my first semester of sophomore year here at OU and soon I will be able to go abroad and just see so many more cultures and traditions that I have truly never been exposed to! Although I have been to 7 different Caribbean countries, I have never been to anywhere like Africa or Europe and just the idea of being able to immerse myself in life there is something that I have always dreamed of. I mean, how many people are able to say that they spent three weeks in South Africa?!! Probably not that many that I know. I am so blessed to have been able to go to this meeting where we heard about the scholarships that so many people had received and hear about all of these people’s abroad experiences cause it is only getting me more ready to go!